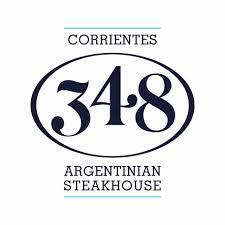 Experience a whole new take on happy hour with Corrientes 348! We welcome you to experience our relaxing patio environment with beautiful downtown scenic views while enjoying one of refreshing cocktails! Happy hour at the Corrientes runs Monday-Friday from 4:00 PM to 6:00 PM and hours may vary with holidays. Be sure to try one of their speciality cocktails, as they use nothing but fresh ingredients for a flavorful way to wind down after a long day at work. Alongside the cocktail, they have mouthwatering small bites such as their famous Beef/Vegetable Empanadas, or our Chorizo Argentino. Corrientes delightful selections will never disappoint! Corrientes large private dining rooms provide the ultimate dining experience for large parties, corporate meetings, or even holiday special occasions. With large spaces available for large private dining parties, we are ready to cater to you for any. Being voted as the best steakhouse in Downtown Dallas, Corrientes promises to leave a lasting impression in all of their cattle hungry friends. When purchasing their beef they pay a lot of attention to the grade of meat which is distinguished by its heavy marbling. This accounts for making the steak more juicy and flavorful. Book you next holiday party, happy hour gathering, or just good ole family dinner by making your reservation at www.corrientes348.comm or call us at 214-220-0348.